Nestled in the heart of Hoi An’s old town centre, you’ll find a warm and inviting restaurant called Little Faifo. 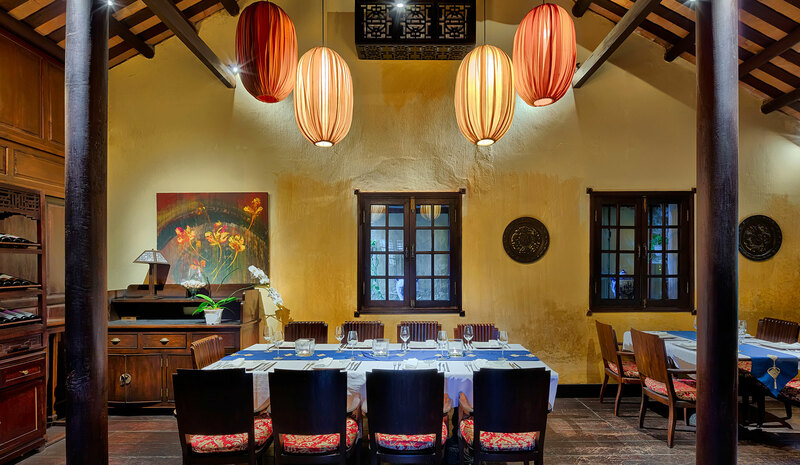 Sharing Hoi An’s historical name ‘Faifo’, Little Faifo Restaurant is housed in an ancient Hoi An home, carefully preserved for over 200 years. This cozy respite is located within easy walking distance of the Japanese Bridge and the Hoai River. Little Faifo serves delectable local fare, coffee, cocktails and tempting sweets. Relive the ancient stories of Hoi An’s vibrant trading days while sampling traditional Vietnamese favorites. Hoi An’s history as a cultural melting pot shines through in its cuisine and we welcome you to join us for lunch, dinner, or dessert. Are you looking for a light snack or refreshment? We serve a robust selection of wine and cocktails, or teas and coffees complemented with gourmet sandwiches and home-made pastries. Be sure to try our famous Grandmother’s chocolate cake and verrine-style tapas. Whether you want to dine with loved ones in a private room beneath silk lanterns, sip a custom-crafted cocktail amidst vibrant Hoi An décor or try Vietnam’s famed coffee on our charming terrace while taking in the peaceful rhythm of the old town’s streets, Little Faifo’s treasures await you. With a total capacity of 110 people across six distinct areas, from the 50-seat main dining room on the upper floor, to the intimate 12-seat stylish cocktail bar and a luxurious 14-seat VIP room richly decorated in dark wood, there’s a space to suit every occasion at Little Faifo. For a truly immersive taste experience, learn how to re-create your favorite Hoi An dishes at home by joining Little Faifo’s cooking class. Our experienced chef will guide you through the ingredients that add flavor and flair to our dishes, while you have fun with the hands-on experience of preparing our local specialties.